Hide this Dealer (Thayumanavan) Discover properties by other dealers by hiding those whom you have already spoken to. You won't see them in your searches further but you can unhide anytime later. KGEYES Samyuktha in Tambaram, Chennai South by Kgeyes Builders is a residential project. The size of the Apartment ranges in between 952.0 sq.ft. and 1401.0 sq.ft. KGEYES Samyuktha price ranges from 45.00 Lacs to 74.00 Lacs. KGEYES Samyuktha offers facilities such as Gymnasium and Lift. It also has amenities like Swimming pool, Badminton court, Basketball court and Jogging track. Bank loan approved from HDFC home loans, ICICI, Deutsche Bank and AXIS Bank LTD. The project is spread over a total area of 2.07 acres of land. KGEYES Samyuktha has a total of 6 towers. The construction is of 5 floors. An accommodation of 156 units has been provided. KGEYES Samyuktha brochure is also available for easy reference. Where is KGEYES Samyuktha located? Tambaram, a prime residential locality for house seekers in Chennai South. What apartment sizes are available in KGEYES Samyuktha? The project offers apartments sized between 952.0 sqft and 1401.0 sqft. 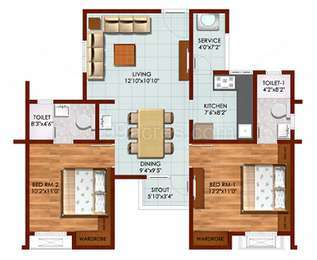 What is total area of 2 bhk in KGEYES Samyuktha? The area of 2BHK units in the project varies from 952.0 sqft to 981.0 sqft. How much is the actual area of KGEYES Samyuktha?The area of the project is 2.07 Acres. What is price of 2 bhk in KGEYES Samyuktha? 2 BHK apartments in the project are available at a price of Rs. 4500000. ISO 9001:2008 Certified, KGEYES Construction is one of the leading property builders in Chennai. KG Eyes Builders with their years of service and a strong team of trained professionals offers living spaces for the global buyers. The real estate company has also earned Gold Rated Green Homes Certification for the pioneering eco-friendly properties developed. The construction group of Chennai is transforming the cityscape by launching future projects strictly following the Green rules.